OUR PAINTERS ARE BUSY, CALL NOW TO HIRE! Welcome to St. John’s Painters. We are the painters St. John’s NL has relied on for quality exterior and interior painting services over the years. We are professional painters with an excellent customer satisfaction rating. Each member of our team believes in providing a service that’s beyond client’s expectations in every aspect. To ensure your optimal satisfaction with our services, we ask you questions and address your concerns before we start painting your building. We take your thoughts and ideas into consideration to ensure that you get exactly what you want. 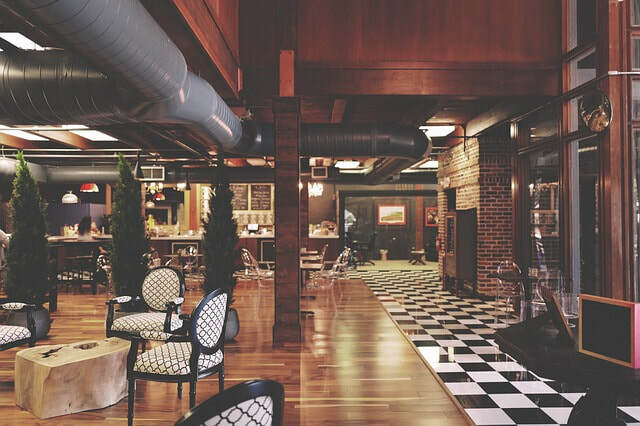 Essentially, we want to empower you so that you can feel at ease while working on your commercial or residential property. Whether it’s a new building that needs painting or an old building that needs restoration, we will work on it. Our priority is to ensure that we meet the highest quality and industry standards with every project. We work closely with our clients to ensure that they realize the goals of their painting projects. With us, you are guaranteed a quality and reliable service. ​Your building is among the major investments that you have and will ever make in life. As such, we take care of it meticulously once you hire us to paint its interior. Any surface that does not require painting is covered carefully to keep it protected throughout the project. The interior surfaces that need painting are prepared properly and stained or painted to ensure that they meet the highest quality standards. ​​When looking for the painting contractors St John’s NL has always trusted for exceptional exterior painting services, get in touch with us. Our team will never compromise quality under any circumstance. We follow standardized, detailed processes in painting the exteriors of our client’s buildings. Our goal is to ensure quality and consistency in every aspect of the exterior painting project. Perhaps, what makes us different from other painting companies is the fact that we pay keen attention to the needs of our clients. Once you engage our service, we talk to you to understand what exactly you want to achieve with your painting project. Be confident that you will enjoy a worry-free experience once you let us handle your painting project. Whether its a new paint coat needed or painting repairs, we've got you covered. Our team is highly skilled in their craft and very experienced in the industry. We also have the skills to offer professional plastering to customers in addition to painting. Projects ranging from small home or office repairs or patch jobs to property additions and new remodelling projects. We can handle any job no matter the size. Simply contact us today for a free quote. ​Perhaps, what makes us different from other painting companies is the fact that we pay keen attention to the needs of our clients. Once you engage our service, we talk to you to understand what exactly you want to achieve with your painting project. Be confident that you will enjoy a worry-free experience once you let us handle your painting project. Need Help With Exterior, Interior or House Painting? ​Give us a call now for all your painting needs! New paint job, renovation, residential or commercial. ​We offer a commercial painting service with a difference. We have painters with vast hands-on experience in painting commercial buildings. Regardless of the size of your commercial building, we can paint it. And, whether you want us to paint several offices or a single room in a commercial building, we will do an exceptional job. We complete all commercial painting jobs on budget and on time. This implies that your workday won’t be disrupted once you engage our commercial painting service. ​A fresh paint coat can transform the look of your home. It can make it feel and look better no matter how old it is. 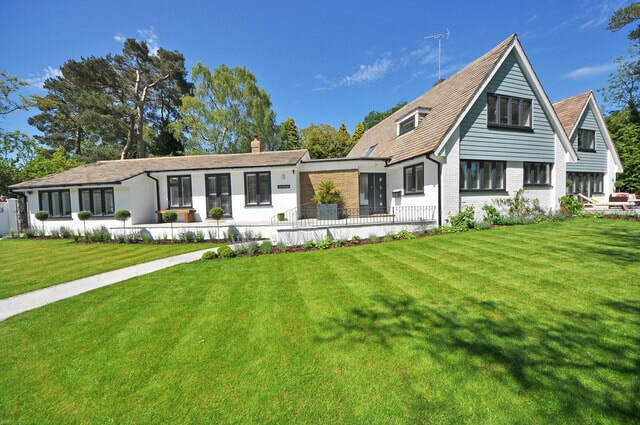 Enhance the curb appeal of your home by giving it a completely new look. Let our team of experienced painters transform the look of your residential property. Our residential painting services are affordable and convenient. ​We know the importance of the environment of your home to your family. Unfortunately, you may not have the skills, tools, or time required to paint your home. 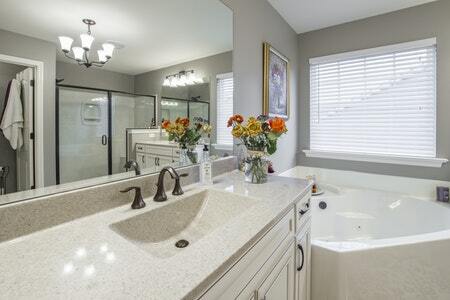 To ensure that your home looks and feels amazing, hire experienced professionals to paint it. We provide custom and top-quality residential painting solutions at reasonable prices. Even when you have a limited time to paint your commercial building, we will do the job. What’s more, we are always there anytime you need our service and we will make sure that you are satisfied with the results of our work. 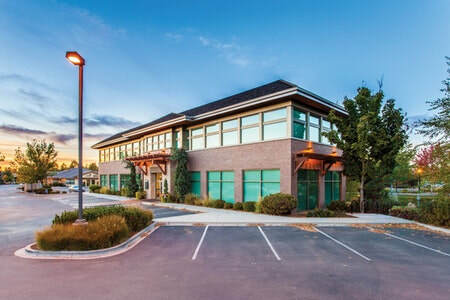 Call us anytime you need painters for your commercial property and we will give your building an excellent look efficiently and professionally. Once you engage our services, we ensure that you enjoy a stress-free experience. We ensure that the normal routine of your household is not disrupted. Whether you need professionals to paint the brick work, doors, door frames, siding, or wood paneling of your home, trust us to do an awesome job. We know the importance of the environment of your home to your family. Unfortunately, you may not have the skills, tools, or time required to paint your home. 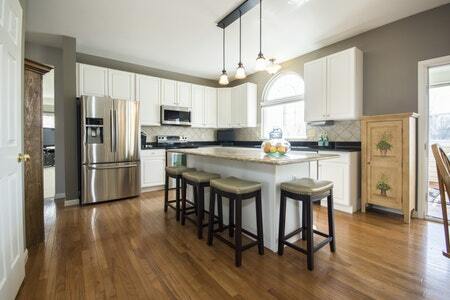 To ensure that your home looks and feels amazing, hire experienced professionals to paint it. We provide custom and top-quality residential painting solutions at reasonable prices. "I needed to have my house painted but wasn't too sure who I could trust to get the job done right. I found them and decided to hire them for the house and I am so glad I did!" 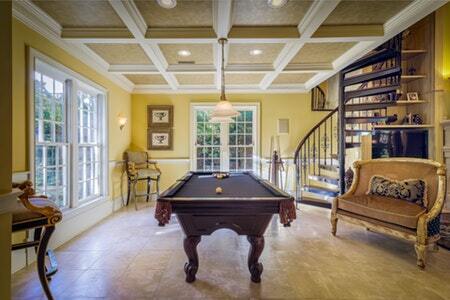 "I have a pretty big home that was under renovations. I am very particular about my property so I knew I had to have someone come to paint who knew what they were doing. This company did a fantastic job and will recommend to others." "I hired the company to re-paint my ceiling & also do some exterior touch ups. Amazing work, very happy with the results. 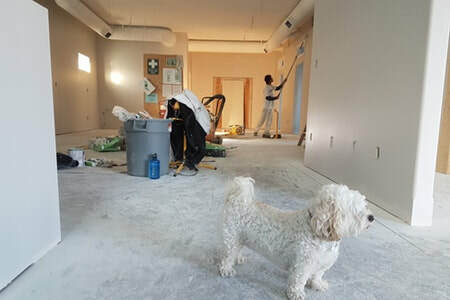 I have a commercial property that requires painting as well and will have them come do it. CALL US TODAY TO MEET OUR EXPERT CRAFTSMEN, WHO POSSESS EXTENSIVE TRAINING AND A WEALTH OF EXPERIENCE UNDER THEIR BELTS! 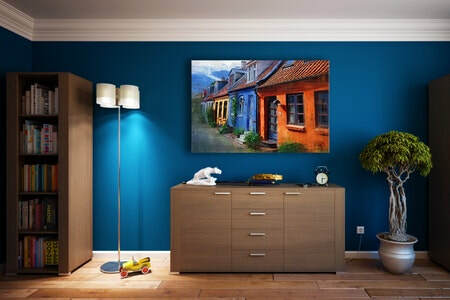 ​Are you unsure about the best paint color for your living space? If yes, don’t worry. Just call us now to schedule a paint color consultation appointment with our experienced professionals. We make selecting painting color for a living space an enjoyable and collaborative experience. 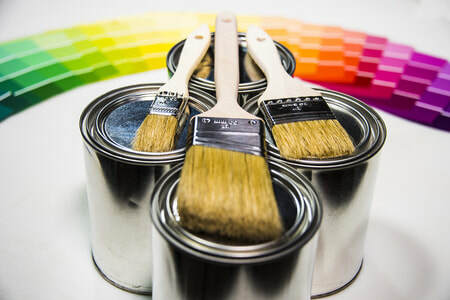 ​We are the house painters St John NL has trusted for help with superior paint color selection. 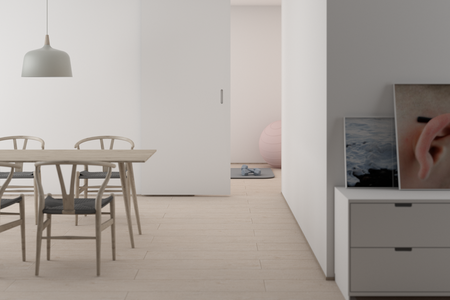 We work with certified interior house designers in most projects to ensure excellent results. These enable us to assist clients in selecting the most ideal paint colors for their living spaces. Just share your thoughts and ideas with us and we will make your vision a reality. ​Perhaps, you need a small space painter. Maybe you need a painter for a day. Whatever the case, we will help you accomplish your goal. 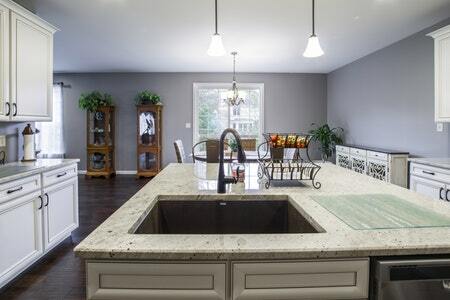 Whether you need help with trim, drywall, stucco, countertops, or deck painting, we will assist you. What’s more, you don’t have to struggle to find a painting contractor. Just give us a call and hire a painting contractor. ​We are knowledgeable, experienced and professional. No matter how small, big, simple, or complex your painting project seems, we will handle it exceptionally from the beginning to the end. What’s more, we give you upfront pricing to ensure that you know what you can expect from us. Our quotes are free and with no obligation. We are transparent and professional in everything we do. Our painting crew is fast, reliable and friendly. Leave it to us to give your beloved space a fresh touch up or a whole new vibe no matter what type of look and feel you are after. Our process and services are sure to amaze you and deliver the finest results in town. You will never again experience a local painting company like us, so it would be best to contact us as soon as you feel you're ready to upgrade your property, whether residential or commercial. We have the skills to transform your home's interior or exterior, your office or business facility, bedroom or kitchen, basement or bathroom. Whatever the project details are, let us handle the whole thing. Our dedicated team of qualified painters are standing by to assist you and provide you with a consultation & quote. Searching for the top painting services? We understand that your painting needs and hopes are different from any other home or business owner. ​We are the painters St. John’s NL has trusted for excellent results and a seamless experience. Our commitment to ultimate satisfaction of clients and excellent services have made us the painting company that property owners call whenever they have surfaces that need painting. Once you give us a call or schedule consultation with us, we let you know everything you may want to know by answering your questions satisfactorily. ​Let us add some color splash into your probably dull space. Even if you are not sure about the best color to use to enhance the curb appeal of your building, we will help you. We help property owners rediscover the ability of paint color when it comes to transforming the appearances of their buildings. No matter how you want your building to look, we will help you accomplish your goal. If You Are Located In Any Areas Listed Below, We Serve You. Pouch Cove & ​Logy Bay – Middle Cove – Outer Cove. Looking for a professional painting company? We are here to provide all our clients with the quality service they deserve.